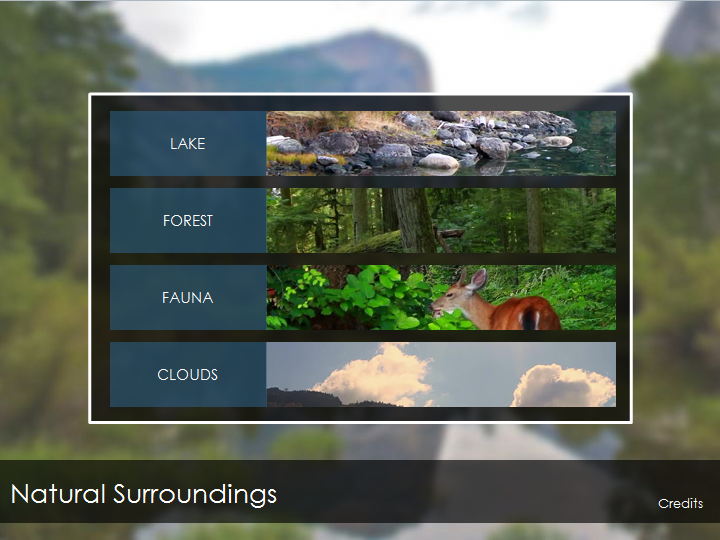 Here's a simple, one-slide video menu. Use it as a stand-alone with your own images/videos, or add it to an existing course and modify to your course template. Source file included. Hey David, this is really sweet! I like the visual buttons and lightbox effect for showing videos. Thanks for the inspiration AND source file! Thanks David. Hopefully, others will find it useful to re-purpose. Hey David - Can you update the links on this one? They're both pointing to dead links on Dropbox.